How Can I Make Sure New Gas Piping Installation Is Handled Safely? While appliances that use natural gas to operate were once considered a health and safety risk, today’s gas-powered systems are safer than ever. Most gas appliances contain plenty of safety features that help to prevent gas from leaking into your home. Today, people do not have to worry as they once did about a pilot light going out and leaving the gas running. In current standing gas pilot heating systems, a flame sensor detects there us a safety hazard and shuts off the unit immediately. 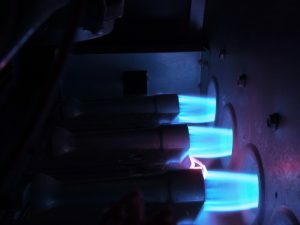 Other modern gas burners only ignite when needed, with plenty of safety components to prevent any hazards that may prevent gases from venting as well. But, as with anything that uses natural gas, there is an unfortunate risk of a gas leak, particularly if an appliance is poorly installed. And if the gas pipes themselves are not installed as they should be, the risk of a leak is high. You may need new gas piping installation for a new home, an extension, or for a major renovation. Similarly, you may need new gas pipes if you’ve decided to remodel a room like the kitchen, and you need to extend gas pipes to accommodate a new oven. Whatever your gas piping needs, you need a professional, even for the smallest of installations. The only sure way to verify that your new gas pipe is installed as safely as possible is by choosing an expert that is trained and certified to deal with a natural gas line. A professional will check all of the connections and should be able to spot any potential damage with ease. Trained technicians can also check your entire piping system if desired. Gas leaks are a serious issue for a couple of reasons. A natural gas leak can have very serious health effects, and it’s highly flammable. Never attempt to repair a gas appliance or a gas pipe on your own and evacuate the home as soon as you suspect a leak. The technicians at HB Energy Solutions have years of experience installing, maintaining, and repairing gas piping in Southern Vermont. Call us today! Posted in Plumbing | Comments Off on How Can I Make Sure New Gas Piping Installation Is Handled Safely?